Could you adopt a loving and distinguished senior? If you are reading this page with a view to giving a cat a good home, please do consider adopting an older cat. Despite the fact that they have so much to recommend themselves by and don't need much to keep them happy, mature cats are still being overlooked in favour of the cute youngsters. This is a great shame because older cats have a lot to offer. They make excellent companions and deserve a chance too. Older cats can be bewildered if they have lost their home after many years.They often have simply outlived their former owners or been unable to join them at a retirement or nursing home or new apartment, so they are especially appreciative of a new loving home where they can enjoy companionship again. These wonderful pets are used to human attention and enjoy the love and security that a caring cat owner can provide. "Mature" cats are still playful and love a fuss and so can adapt to a new household and will probably settle in more quickly because they are adults and understand humans. Never dismiss a cat solely on its age or you might be missing out on the ideal cat for you. Older cats can be quieter and generally more sensible than kittens or young cats. They tend to be used to household life, more likely to doze while leaving the furnishings intact and know the ground rules of living with people. In general they need less supervision than their younger counterparts and are more content to spend their time watching the world go by. they enjoy being made a fuss over more than younger cats and make excellent companions. Adult cats sleep more, play less, break fewer lamps, and don't try to bite your toes through the blankets in the middle of the night. With an adult cat, you will sleep better, relax more, make fewer claims on your homeowner's policy, and have a bit more energy than chasing around after kittens. 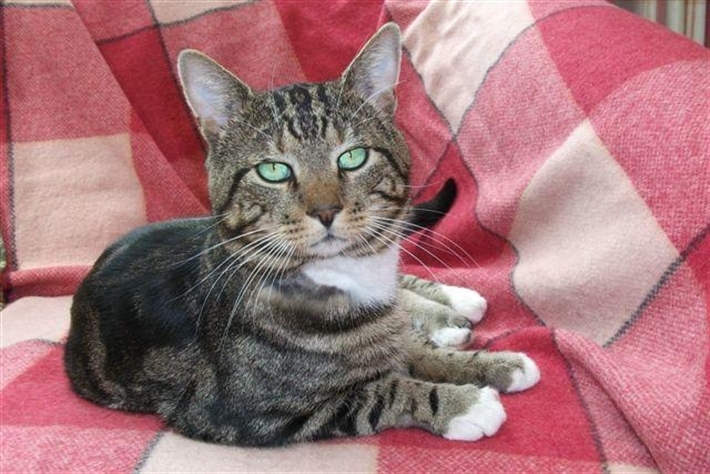 Older cats have got over the excitement of youth and are much happier to sit and enjoy your company and a good fuss. If you are looking for a quiet life then a mature cat should be at the top of your list. Also they are a better choice for busy families who don’t want the hassle of supervising a young cat for long hours. Older cats are often more talkative than younger cats. As they spend less time in physical activities, they have more time to express their opinions. Some may simply be seeking reassurance, but others become remarkably chatty, taking a more vocal interest in their owners activities. 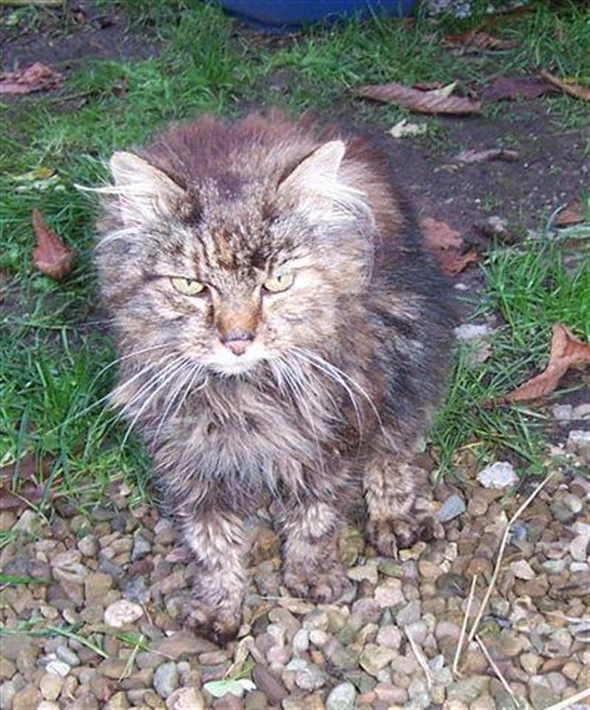 Many older cats will happily potter about the garden with you and be less likely to wander off on long hunting expeditions than younger cats. As they grow older they often turn their attention from playing or hunting to spending time quietly with their owner and are less inclined to roam around the neighbourhood for long periods of time. With their wandering, hunting and chasing days behind them, they tend to turn their attention to being more sociable, seeking human contact and becoming more of a lap cat. They are more home-loving and settled, making them an excellent companion. If you enjoy pampering your cats, an older cat often enjoys the attention more than a kitten. One of the main reasons that many senior cats can be hard to home is that people often worry the feline might not have a long life span. However, because cats live much longer than in the past and the fact that some ailments are more common in older cats doesn't mean that your cat will develop them. With advances in veterinary care and more protective and informed owners, cats can live well into their late teens, and sometimes early twenties with little or no sign of deterioration gliding gracefully into old age by simply slowing down their pace of life. So taking on an older cat doesn’t mean you will have to say your goodbyes too soon, you could have many, many happy years of love and fuss ahead for both of you! So please do not overlook the older cat, they can offer all the affection and companionship that you are looking for and are very low maintenance, they are not destructive, stay at home, and they do not ask for much, a warm fireside, a bowl of food and a little love in their twilight years. They give so much in return. The cats featured in this article are golden oldies which have all found new loving homes - Jess, Stanley, Casey and Fluffybelle.